The Tennessee Wildlife Resources Agency will host the annual gathering of the top deer researchers and managers in the Southeast and beyond, Feb. 19-21 in Nashville. 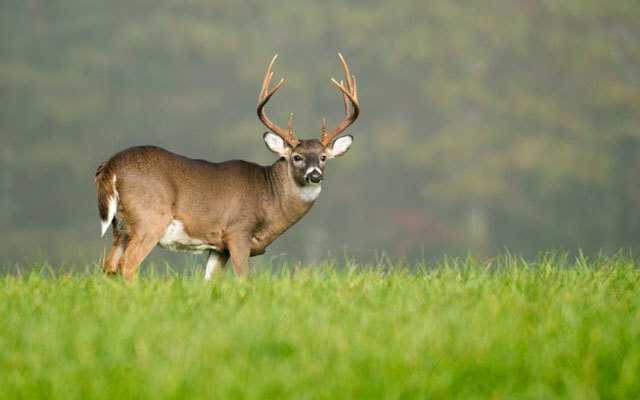 The 41st Annual Meeting of the Southeast Deer Study Group at the Millenium Maxwell House Hotel will bring to Music City biologists, managers, and researchers who oversee the management of the country’s most popular game animal. The SEDSG meets annually to share the latest information on white-tailed deer research and management. Meetings provide a forum to share research results, management strategies, and foster discussions. The theme of this year’s meeting will focus on the management of white-tailed deer at the statewide scale and what a responsible, defendable state agency deer management program entails. Hosting the meeting is a responsibility that rotates annually among each of the SEDSG’s 17 member states which include: Alabama, Arkansas, Delaware, Florida, Georgia, Kentucky, Louisiana, Maryland, Mississippi, Missouri, North Carolina, Oklahoma, South Carolina, Tennessee, Texas, Virginia, and West Virginia. However, the meeting regularly has presenters and/or attendees from states outside the Southeast including Wisconsin, Michigan, Ohio, Pennsylvania, and New York. Although there is a registration fee to attend the SEDSG meeting, the event is open to all deer enthusiasts. More information about this year’s meeting may be found by visiting the event website at regonline.com/sedeerstudygroup2018.